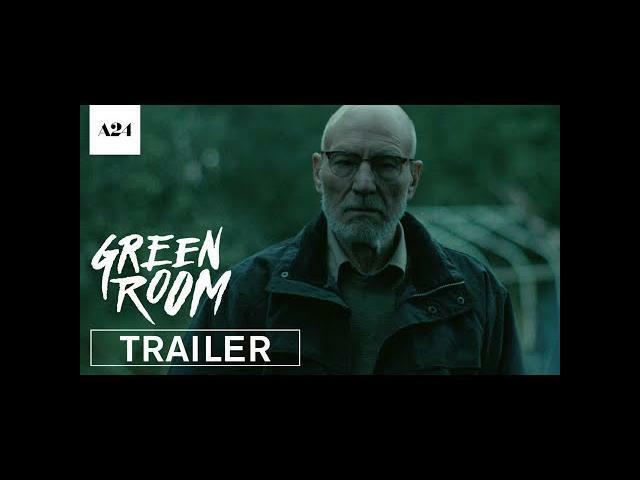 Jeremy Saulnier"s Green Room (2015) features Patrick Stewart as the leader of a skinhead gang that hits limited movie theaters this upcoming April 15, 2016, then opens nationwide starting April 29, 2016. Long time I haven"t seen Stewart play a villain. This trailer video is short and sweet, quickly getting into the plot of the movie. Alia Shawkat, Imogen Poots, and Anton Yelchin also star in Green Room. CAST: Patrick Stewart, Anton Yelchin, and Imogen Poots.